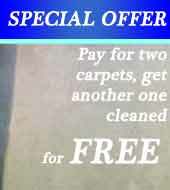 Carpet cleaning, domestic and commercial services in Morganstown. DMcarpet clean is pride to offer additional services to outer suburb of Cardiff, our team of technicians will be looking after your carpets and upholsteries with best quality available in South Glamorgan. Thanks to our expansion we are able to provide very flexible and reliable services that will be tailored to your needs, using mostly specialized equipment and techniques we are always looking to achieve best results and satisfaction from our work. Tradesmen in Morganstown, working with care and experience. I've been working in cleaning industry for sense 2011, all this time was a great experience and much fun meeting new people every day. All this time gave me opportunity to grow in confidence to develop my own business and to provide numerous services to residence of Cardiff metro area. Tips and tricks on cleaning and more. WE ARE USING ONLY ORIGINAL KARCHER EQUIPMENT AND CHEMICALS IF APPLICABLE.